Discovering you have SIBO can be overwhelming. 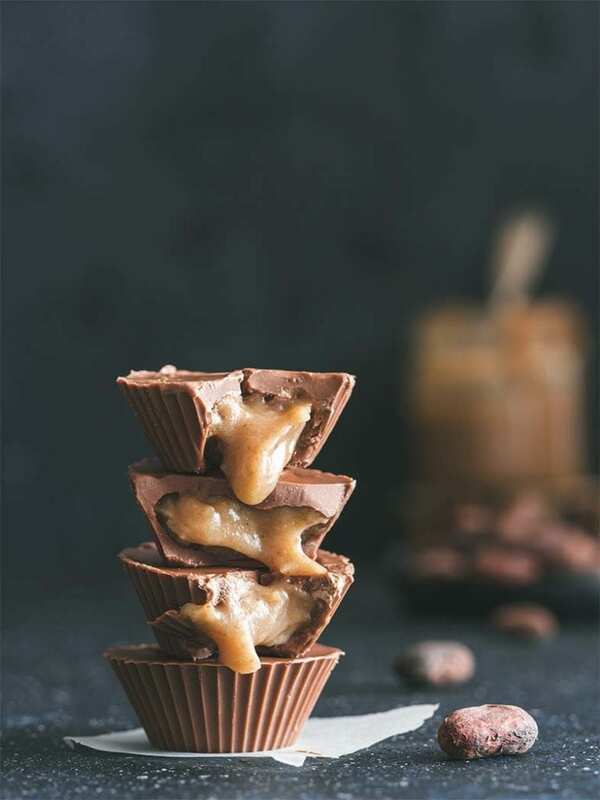 Finding delicious SIBO recipes can be exhausting. That's where we can help! 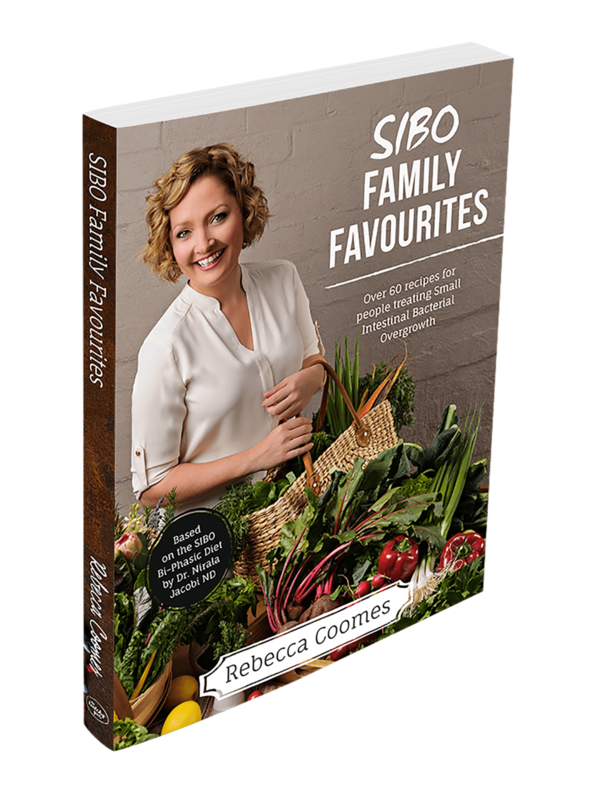 We have compiled a selection of SIBO friendly recipes that taste great, are easy to make and are suitable for a variety of SIBO diets. 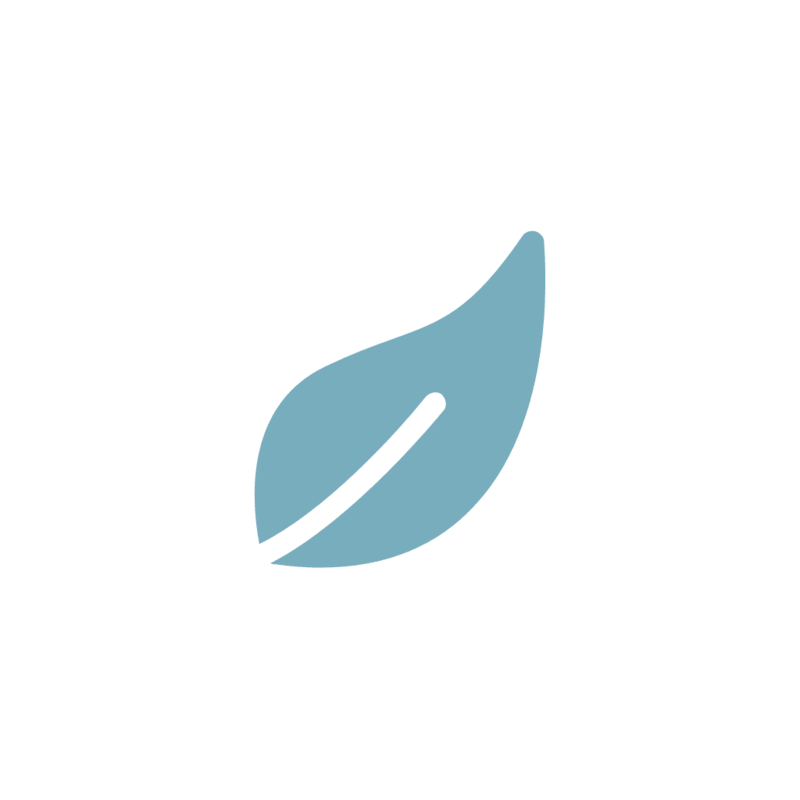 All recipes are 100% SIBO friendly, gluten-free, corn-free and soy-free. Use the filter on the right to select recipes by meal type (eg. breakfast, lunch, dinner, etc) or dietary requirement (eg. 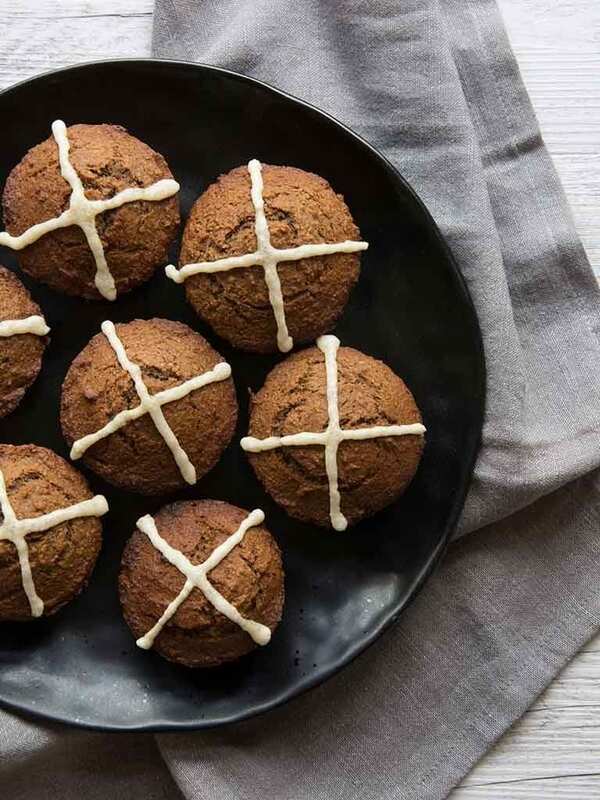 Low FODMAP, egg free, dairy free, etc). 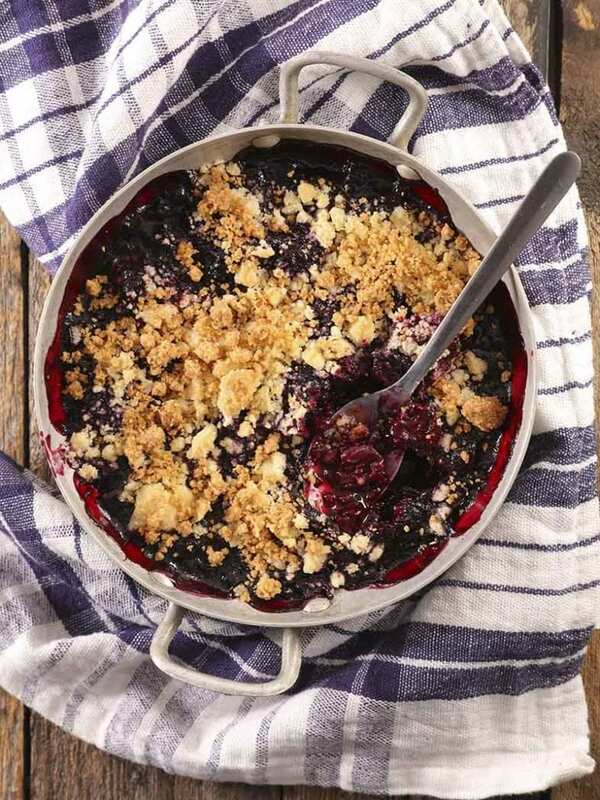 This delicious berry crumble is perfect on a cold winter’s night. 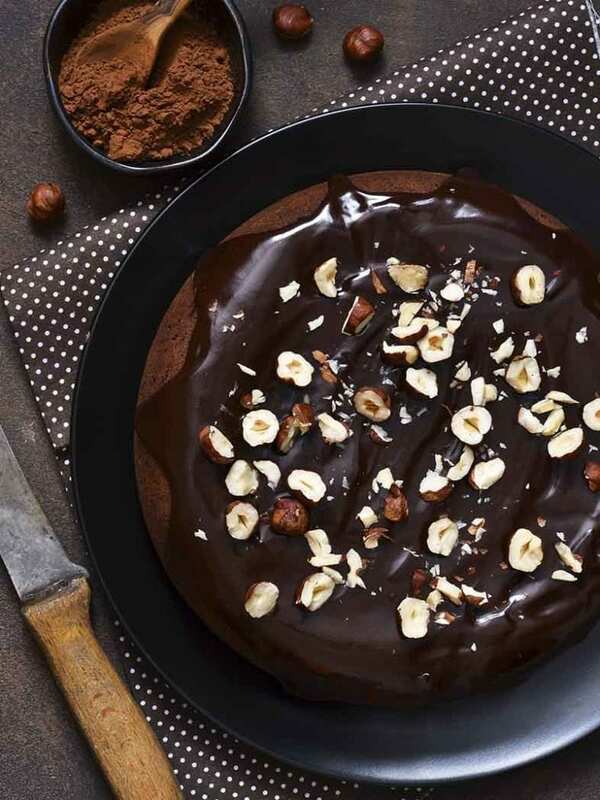 Topped with a nut and coconut crumble, it is delicious served with vanilla ice cream. 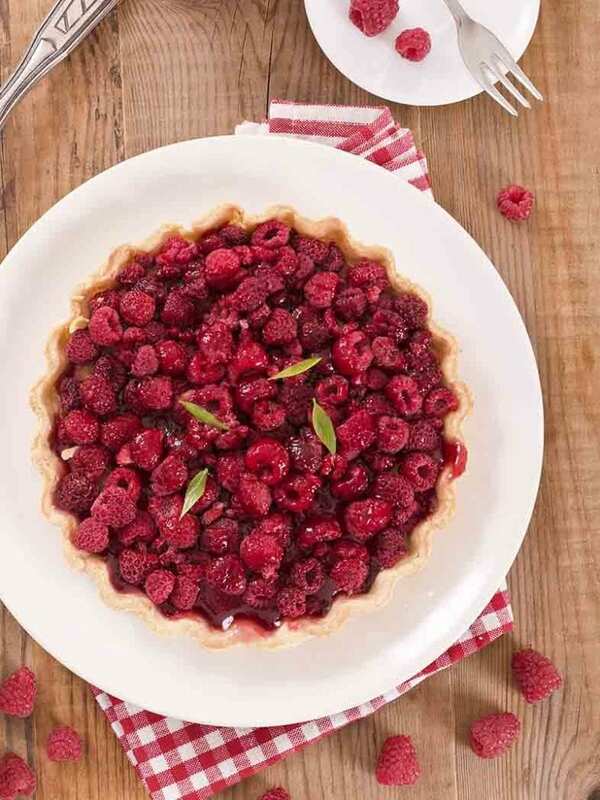 This pretty raspberry and coconut yoghurt tart is the perfect dessert on a SIBO diet. 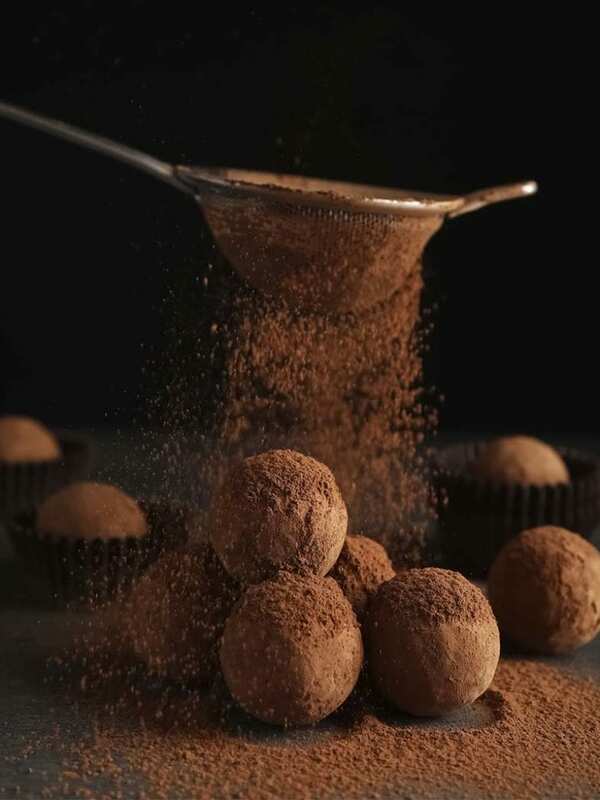 It doesn’t contain gluten, egg, dairy or added sugar. 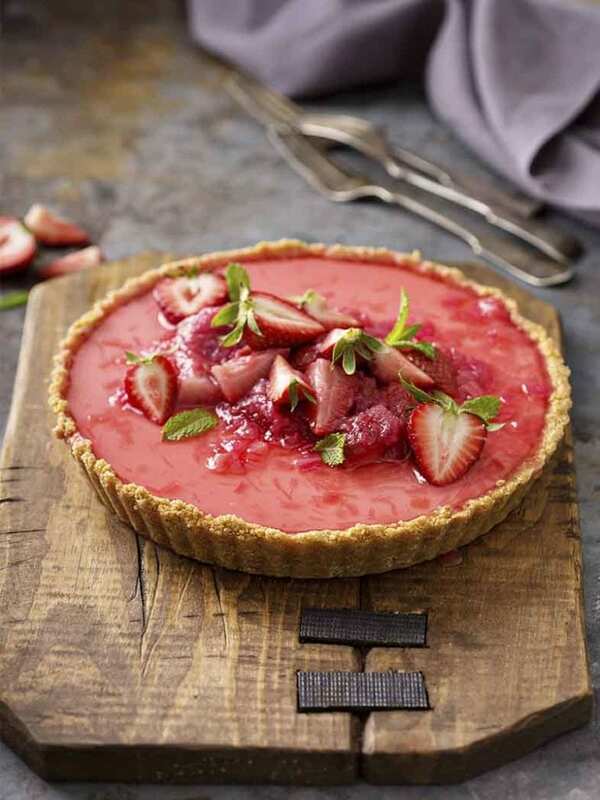 This Low FODMAP and gluten-free strawberry and rhubarb tart is so pretty and tastes amazing. 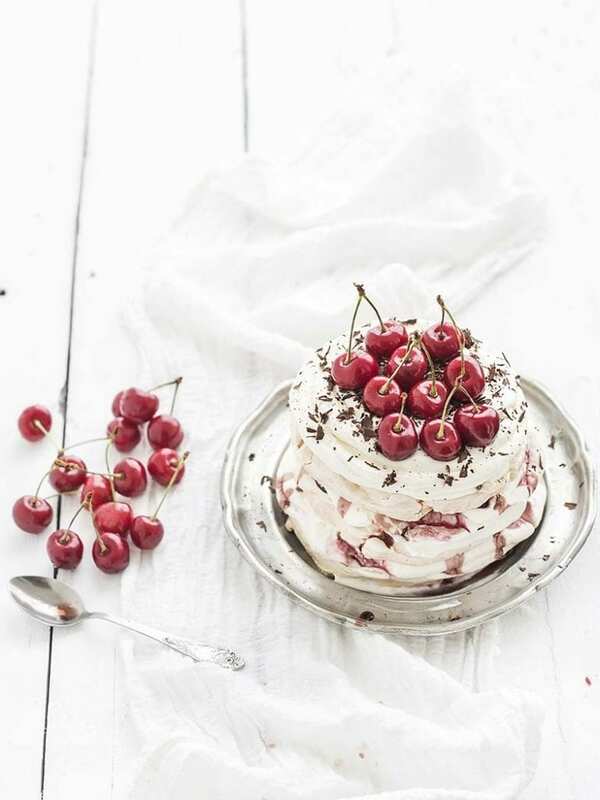 Perfect for romantic desserts, dinner parties or morning tea. 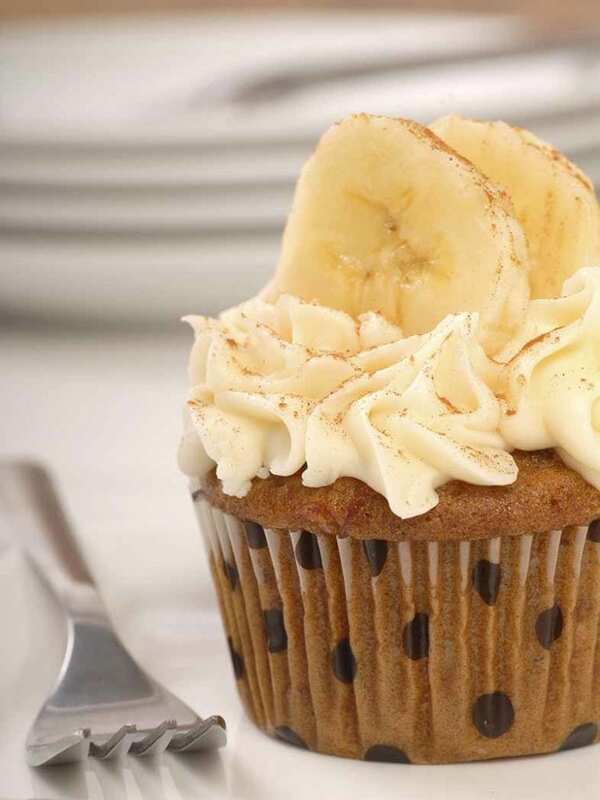 These seriously moist banana cupcakes with a lemon frosting are the perfect mid-morning or afternoon treat. 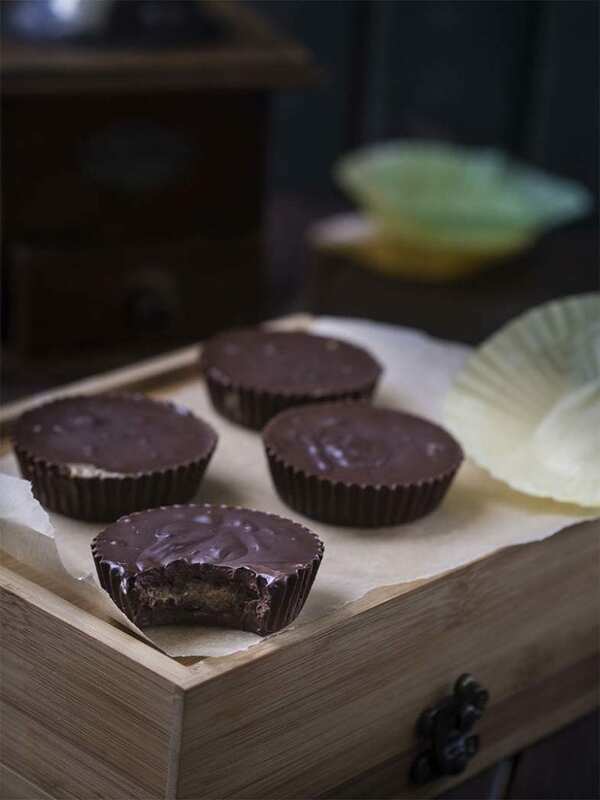 Low FODMAP, gluten free and SIBO friendly. 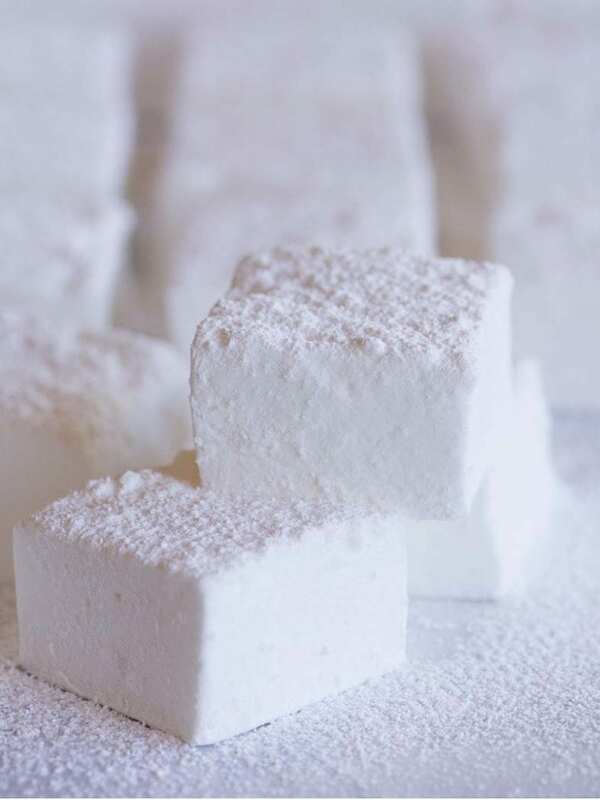 Soft pillowy low FODMAP marshmallows are the perfect treat. 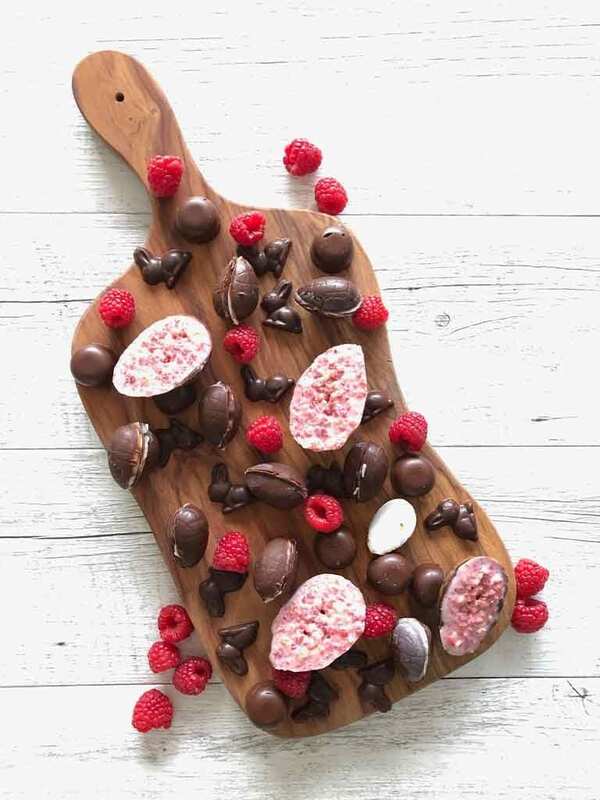 Eat them on their own, add them to your favourite hot chocolate or make s’mores with them. 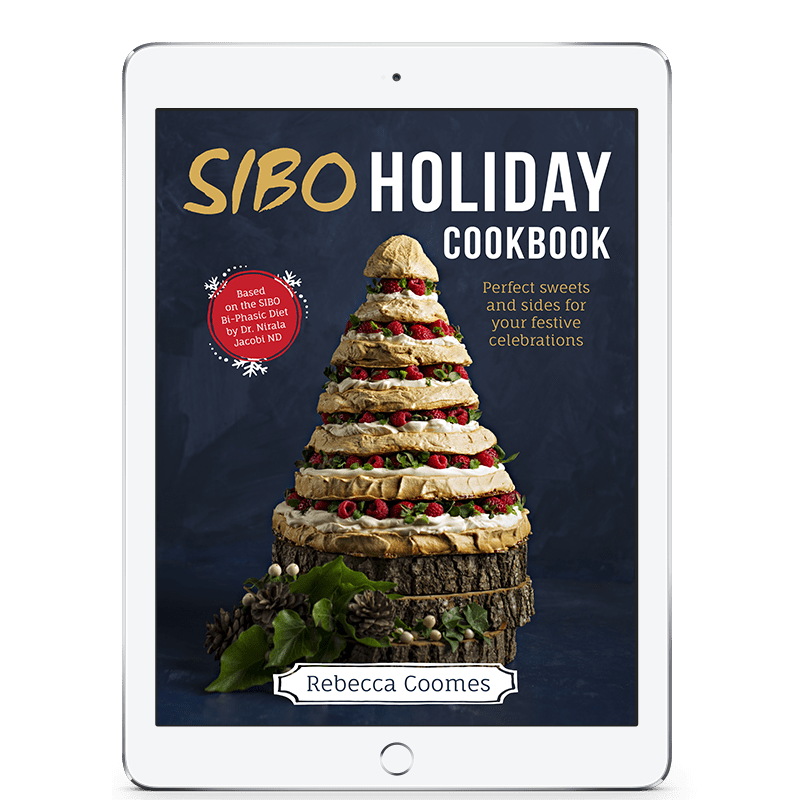 Want a physical cookbook to support your SIBO journey? 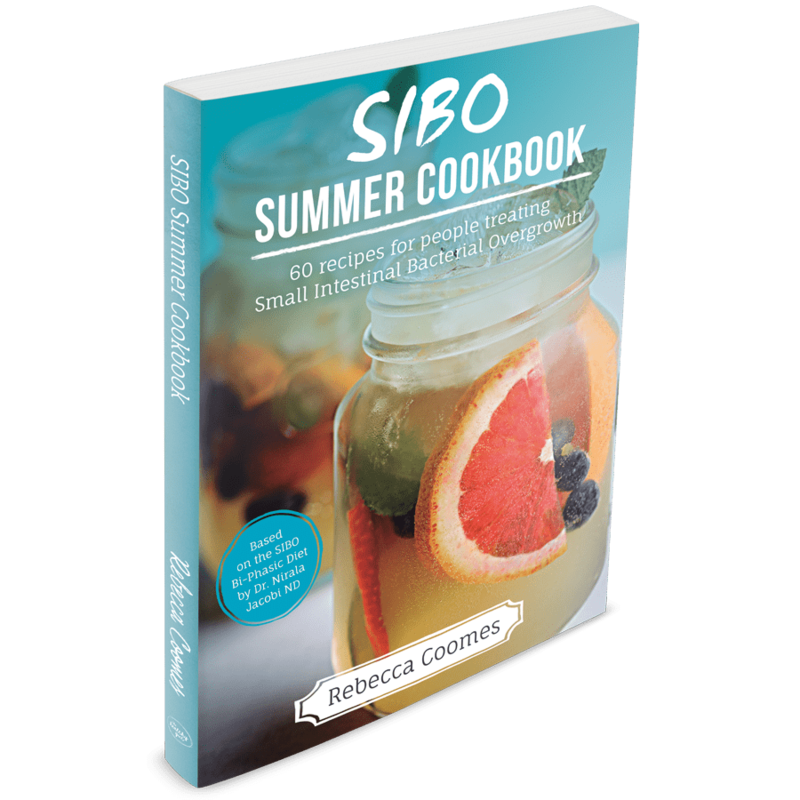 Check out the following SIBO cookbooks by Rebecca Coomes. Recipes categorised for each phase of the diet.